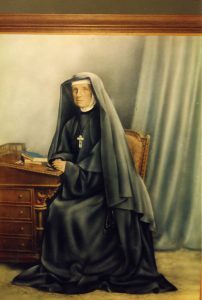 Mother Foundress of the Sisters of the Good Samaritan. Born in Ireland, Geraldine Gibbons arrived in Sydney in 1834 before joining the Sisters of Charity and made her vows as Sr M Scholastica. So began a life of commitment to those who were less fortunate in the young colony, firstly at the Female Factory in Parramatta and then in the establishment of the House of the Good Shepherd for destitute women in Pitt Street. In 1857, when Archbishop Polding found the Good Samaritan Sisters, he asked for her assistance. Whilst remaining a Sister of Charity, she devoted herself to the formation of this new group until 1876. 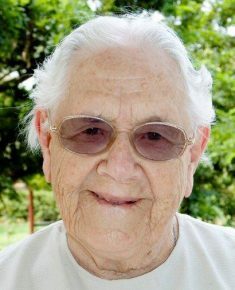 She is remembered as gentle and kind and excellent in knowing how to care for the sick whether it was woman, man, child or animal. 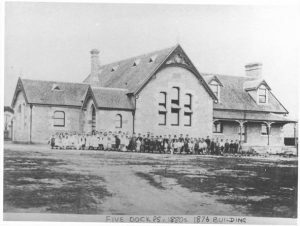 After a period in Hobart with the Sisters of Charity, she returned to live with the Good Samaritan Sisters at Rosebank, Five Dock and then at Marrickville where she died on 15 October 1901.